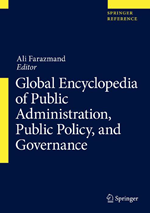 Associate Professor Seunghoo Lim published a book “Global Encyclopedia of Public Administration, Public Policy, and Governance”. We are pleased to announce that Associate Professor Seunghoo Lim published a book. You can view the details from the site listed below.